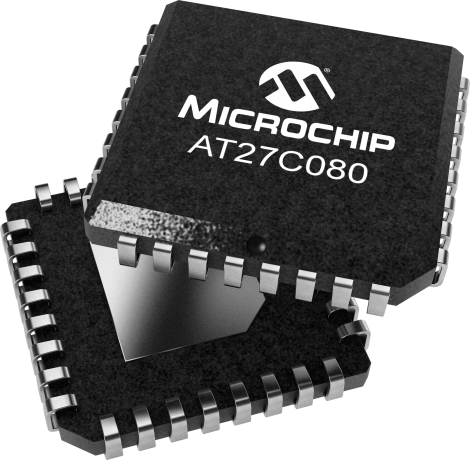 The Microchip AT27C080 is a low-power, high-performance 8-megabit One Time Programmable EPROM organized as 1-Mbit x 8. Requiring a single 5V power supply, in normal read mode operation typical power consumption is only 10 mA in active mode and less than 10 μA in standby mode. Any byte can be accessed in less than 90 ns, eliminating the need for speed reducing WAIT states on high-performance microprocessor systems.